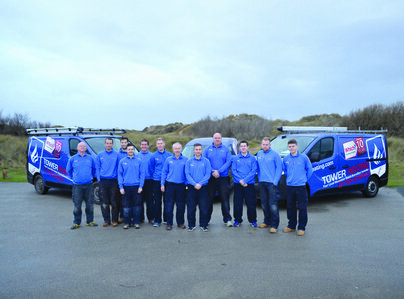 Tower Heating is a family-run, central heating and gas company operating in Formby and it's surrounding areas. Established in 1990, we have grown steadily due to demand for the excellent service that we provide. We pride ourselves on being second-to-none when it comes to our knowledge, workmanship, cleanliness and the friendliness of our team. We aim to go beyond simply satisfying our customers and are proud of the relationships we have built over the years. As can be seen from our reviews, many of our customers welcome our team back into their homes with open arms. No task is too much trouble and our attention to detail is impeccable. We are a Worcester Bosch Accredited Installer - Diamond Level. 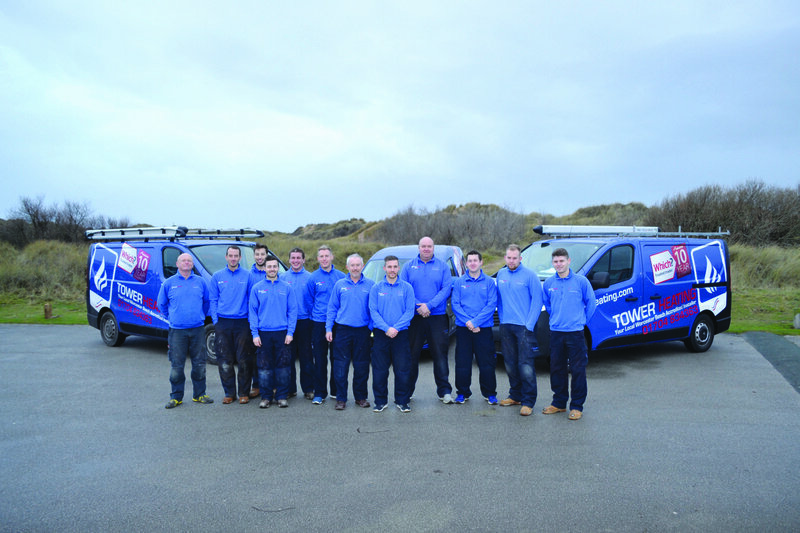 This means that we are now able to offer a TEN year guarantee on every boiler that we install. - Up to two years at 0% interest. - Three to ten years at 9.9% APR. Tower Heating did a great job replacing my 30 year old Baxi conventional boiler. George and Tom were both very polite and kept me well informed through the process. All the work carried out was done to professional standard and they left the house as they found it. I would highly recommend Tower Heating to anyone and will be using them again for any future work and servicing required on my central heating system. A warm and cosy house ! Following a consultation and a formal quote, Tower Heating supplied and fitted a new boiler, completely re-piped the heating system (ground and first floor) and installed a full set of new radiators. The end result is a loft devoid of pipes, water tanks and hot water cylinder, replaced by a system housed on the ground floor system - brilliant ! Tower Heating were thoroughly professional in all aspects of the project and our installers James and Chase were diligent, conscientious and friendly and made sure we were comfortable while the work were progressing. The house has been transformed to a warm and cosy place with a modern and efficient central heating and hot water system which will undoubtedly reduce our energy costs over the long term, so a big thanks to the team at Tower Heating ! They didn't notice leaking heat exchanger in first visit, otherwise they would be top rating on all counts. Lee and Tom B arrived on time & immediately put down dust sheets to protect floors & carpets. They laid out their tools neatly & set out to work quickly. They were considerate throughout and explained the job process fully. When they had finished they cleaned and hoovered throughout and left the property immaculate. They gave me a clear explanation of how to maintain and monitor the heating system. I have no hesitation in recommending Lee & Tom B in the future. Fast, efficient and friendly service. Highly recommended. Following a minor problem with our central heating, phoned Tower Heating and spoke to Steve on emergency phone number. Steve came out within half an hour - very quick to solve problem. An extremely helpful, polite and efficient engineer. Arrived on time. Always efficient. Very helpful, cheerful service. Great attention to detail and commitment to producing an excellent result. Technically excellent and flexible approach. Completed project good value. Prompt and very good work. We were very pleased with Gordon & George, they were always early & very hard workers. Friendly & cleaned up after them. Tower Heating have installed our boiler, changed our radiators and given good service over the past 6 years. Our children in their own homes also have used Tower Heating. All staff friendly, professional, trustworthy, tidy up any mess and reliable.